LAHORE: (Monday, November 5, 2018): Human Resources Development Center (HRDC) at Institute of Administrative Sciences (IAS), University of the Punjab initiated the Staff Development Training Program for newly inducted Assistant Registrars, Assistant Controllers, and Assistant Treasures from November 5th-8th, 2018. 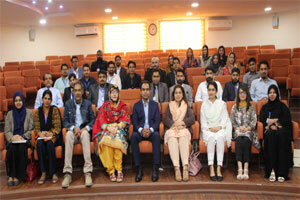 The program was inaugurated by Worthy Vice Chancellor Prof. Dr. Niaz Ahmed Akhtar. He addressed the participants by appreciating them on their merit based appointments. He stressed on adherence to the values of the institution including merit, rule of law, trust and instilled his confidence in leadership abilities of the new appointees. Dr. Niaz applauded the efforts of HRDC under the leadership of Prof Dr. Nasira Jabeen- Director IAS & Dean FEMS to plan and execute the training program. He shared his interest of having similar trainings for other officers working at different tiers of the University. Prof Dr. Nasira Jabeen welcomed the participants to the program and expressed her gratitude to worthy Vice Chancellor, Prof. Dr. Niaz Ahmed Akhtar for his immense support and encouragement towards conduction of program and to Mr. Zafar Iqbal - Resident Auditor for joining the session. She shared with course participants that the purpose of the program is not only a formal welcome and orientation but to make participants understand the complex, rich culture and administrative structure of University of the Punjab. The program would include a blend of generic as well as specific components including; budgeting in public sector, establishment rules, human resource management skills, financial management rules, gender sensitization, work efficiency strategies and general management skills. The program would serve as an opportunity for mentoring, guidance and networking. 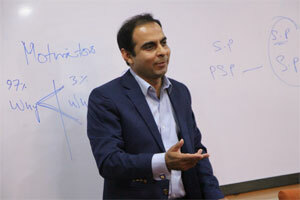 Dr. Jabeen’s address set the norms for the session followed by a brief audition of participants. Day one of the training was embarked with an informative session by Prof. Dr. Mumtaz Anwar – Chairman, Department of Economics – PU on university governance structure and context of governance highlighting the roles and responsibilities of the university officers in this regard. 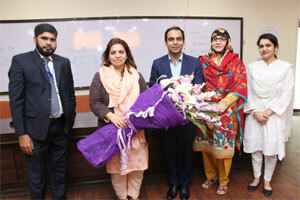 Mr. Qasim Ali Shah, a renowned motivational speaker delivered a highly motivational talk on ethics and professional development of university officers. The key takeaways from his talk were based on the teachings of world renowned scholars and authors and also from his own life experiences. Mr. Qasim Ali emphasized on finding the reason and purpose of one’s life and work, enhance one’s abilities though capacity building and to find various inspirations at every step of life. He shared a wealth of knowledge and also recommended some books for the participants to read and reflect. Participants thoroughly enjoyed the inspirational discussion and took keen interest through participation. 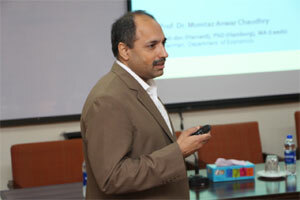 Dr. Tehseen Zameer Ali – Chief Medical Officer, Punjab University, also joined at the networking session towards the end. She briefed the officers for their entitled medical facilities and addressed the relevant queries. First day of training concluded with great learning and abundant food for thought for all. The training shall continue for four days form 5-8 Nov, 2018 where 28 participants are benefiting from this program.